For those who are making arrangements to travel to Providence for Fall Forum on December 1-3, 2016: big news! We’ve added school visits and other pre-conference activities to our schedule on Thursday, December 1. School visits are $150 per person; please choose the Fall Forum “with school visit” option when you register and pay here: Fall Forum Registration. All other December 1 activities are free of charge. All school visits will run from approximately 7:30 am (departure time from the Omni Providence Hotel) through early afternoon. Transportation and lunch will be provided. Blackstone Academy Charter School (BACS), founded in 2002 as a CES school, serves 250 9th-12th graders in a strong community of learners and leaders. Its small educational environment helps foster independent inquiry, teamwork, and communication. BACS’s students develop the skills to solve problems and use their voices in ways that lead to success in the academic, social, and professional arenas. Students demonstrate their achievements through a process of discovery, presentation, and reflection. Community involvement and community improvement are key themes at BACS. In addition to classes, the school’s portfolio system structures the progression of their learning by having students study themselves and their relationships to others, move forward with an exploration of the local community, and ultimately integrate an understanding of the wider world as students become responsible, motivated, life-long learners. BACS is a powerful example of a small urban school that has successfully navigated policy shifts and expansion while remaining fiercely committed to its mission. Blackstone Academy Charter School visitors will spend the morning and early afternoon at the school, with possible internship/service learning visits.The day will start and conclude with briefing and debriefing conversations with BACS school staff members. Transportation and lunch are included. Our apologies: the Learning Community school visit is full. Please choose one of our other school visit options. The Learning Community is a vibrant K-8 public school in Central Falls, Rhode Island that serves 560 students, nearly half of whom are current or former English Language Learners. A comprehensive literacy program forms the core of the Learning Community’s curriculum, setting the foundation for all content areas. Students study what it means to be a good reader, writer, scientist and mathematician, and they put those strategies into regular practice. The curriculum includes explicit instruction in oral literacy – speaking, listening, dialogue and debate. At The Learning Community, students see themselves as independent learners with important stories to tell. 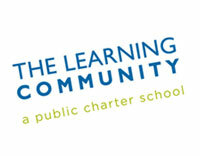 The Learning Community has also designed innovative systems in several core areas that have led to success in areas including: assessing and supporting student achievement, family engagement and leadership, social/emotional/physical/academic safety net systems, assessing and supporting teacher achievement, and distributed leadership. The day will start and conclude with briefing and debriefing conversations with Learning Community staff members. Transportation and lunch are included. 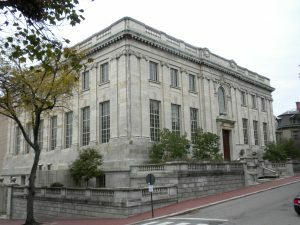 Experience the Providence campuses of The Metropolitan Regional Career and Technical Center (better known as The Met). With high standards and strong family engagement, The Met’s individualized learning approach has proven successful in unlocking students’ passion for learning. The Met empowers its students to take charge of their learning, to become responsible citizens and life-long learners. The hallmarks of a Met education include internships, individual learning plans, advisory, and a breakthrough college transition program for its high school school students. The Met is also the flagship school of Big Picture Learning, a model for 100 schools across the country and around the world. Big Picture Learning is a leader in school reform and is consistently identified by a sweeping range of education leaders as one of the most effective models in the country. Fall Forum Met School visitors will spend time in The Met’s five small schools in Providence, shadowing students through advisory, internships, and other elements of their day. The day will start and conclude with briefing and debriefing conversations with Met school leaders. Transportation and lunch are included. “Let’s Talk” highlights archival material from the collected papers of Theodore Sizer and the Coalition of Essential Schools highlighting the creation of CES and its early years. The exhibit displays, for the first time, materials from these special archival collections and provides a glimpse of the the work that sparked national conversations about the American classroom and led to the founding of the Coalition in 1984. Join us to learn more about these archives and see some of the original documents that shaped a critical chapter in the history of public education in the United States. Fall Forum attendees, please note that this event is located at the John Hay Library at Brown University, 20 Prospect Street in Providence, which is a mile from the Omni Providence Hotel. Transportation options include taxi, Uber, or walking. There is no charge for this event; all are welcome. In collaboration with the Rhode Island Department of Education, we’re pleased to host a screening of “Most Likely to Succeed,” a film that pushes us to radically re-imagine American education so that we better equip students for the realities of the twenty-first century economy. “Most Likely to Succeed” moves past speculation and into the reality of a new vision of education through a deep dive into life and learning at CES affiliate High Tech High. The screening will be followed by a panel discussion about policies and practices that advance student-centered education in Rhode Island and beyond featuring “Most Likely to Succeed” producer Ted Dintersmith, Rhode Island Education Commissioner Ken Wagner, and other leaders of Rhode Island’s school innovation movement. Fall Forum attendees and members of the public are welcome to attend this screening at no charge. Fall Forum attendees, please note that this event is located at the Providence Career and Technical Academy, 41 Fricker Street in Providence, which is a mile from the Omni Providence Hotel. Transportation options include taxi, Uber, or walking. Take a moment to view “Most Likely to Succeed”‘s trailer, and join us for the conversation on Thursday, December 1, 7:00 pm.